AT&T unfairly terminated an affiliation agreement with Al Jazeera America, the cable network says in a recently unsealed lawsuit that highlights AT&T’s subscriber base in conservative states. Under a heavily redacted description of the alleged “bad faith scheme,” Al Jazeera notes in its complaint that “AT&T has a large subscriber base in Texas and other conservative states in the South and Southwest. “Upon information and belief, it then began to cast around for an excuse to unilaterally terminate the Affiliation Agreement,” the lawsuit says of AT&T. Al Jazeera America launched on Tuesday, but AT&T’s U-verse pay-TV service did not carry the network, which in January bought Current TV, the network founded by former vice president Al Gore, because of a contract dispute, according to AT&T spokesman Mark Siegel. 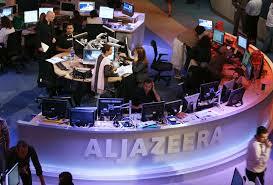 Globally, Al Jazeera is seen in more than 260 million homes in 130 countries. But the new U.S. channel has so far had difficulty getting distributors, in part because Al Jazeera was perceived by some as being anti-American during the Iraq war. Before AT&T’s announcement, Al Jazeera America said it would be available in more than 40 million homes – about 40 percent of U.S. pay-TV households and roughly half the reach of Time Warner Inc’s CNN. U-verse was launched in 2006 and had 5 million video customers at the end of June in markets such as Texas and California. Al Jazeera’s lawsuit is seeking a judgment declaring AT&T to be in material breach of the affiliation agreement, ordering AT&T to honor the agreement and awarding compensatory damages to Al Jazeera. The lawsuit says Al Jazeera bought Current TV primarily because of its existing distribution agreements with carriers. “AT&T was aware that Al Jazeera would be offering a new news and information service that would replace the Current service, and that it would be called ‘Al Jazeera America,’ and after the merger Al Gore would no longer be an equity holder or director of Current, or have any other involvement with Current or Al Jazeera,” the lawsuit states.